Canada is not only home to snow-capped mountains, prairies that reach as far as the eyes can see, and shimmering lakes; the USA’s Northern neighbour also has an extremely active cinemagraph community. Our latest gallereplayer Tyler Lillico hails from Calgary and grew up amidst the Rocky Mountains. His body of work reflects and showcases his stunning surroundings. We recently caught up with Tyler to talk cinemagraphs, skiing and sausage dogs. gallereplay: So Tyler, we’re intrigued to find out how your passion for cinemagraphs started? Were there any particular influences? Tyler Lillico: My first experience with cinemagraphs happened while building my personal website over a year ago. I had seen some other sites using cinemagraphs for backgrounds and the motion really caught my eye. I started looking into how I could create my own and came across Kevin Burg and Jamie Beck. They are pioneers in the high quality cinemagraph game, and their work triggered my curiosity. I began experimenting with turning some of my old timelapses into cinemagraphs and haven’t looked back since. I’m always looking for new techniques to improve my personal cinemagraphs. gallereplay: A lot of your cinemagraphs are beautiful landscape shots? Why do you think landscapes lend themselves particularly well to cinemagraphs? Tyler Lillico: Blending movement into an already appealing landscape shot is a great way to set it apart from the many other amazing shots all over the internet. There tends to be subtle movement in many aspects of a landscape photo and I try to incorporate that movement into my cinemagraphs; whether it be fast moving water, the northern lights, or a time lapse of slow moving clouds. I find the motion makes the images feel like you’re almost in the scene experiencing it personally. Tyler Lillico: Living in Canada is definitely a bonus when it comes to landscape photography, as there are endless beautiful and diverse landscapes available to explore. I’ve visited some equally incredible spots around the world, with my favourite being Indonesia, however I feel very lucky to have the Rocky Mountains in my backyard available to explore at a moment’s notice. I don’t think I’ll ever get tired of them. The changing seasons also add a unique dimension to Canadian landscapes. gallereplay: Aside from cinemagraphs and photography, do you have any other passions? It would seem you’re into skiing? 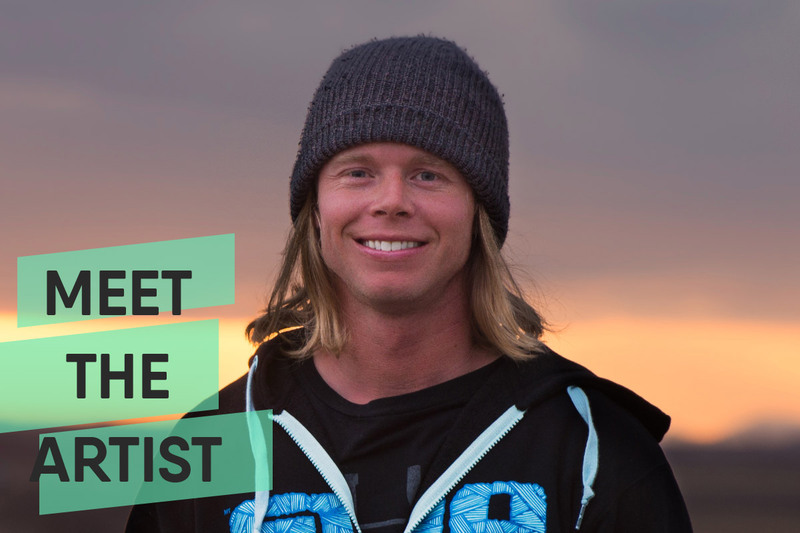 Tyler Lillico: Skiing has been a passion of mine since I was a small child. It is actually how I got into photography; I moved to the resort town of Whistler, BC, Canada after I finished high school and tried to take my skiing to a professional level. I ended up injuring myself fairly seriously, tearing both my ACL’s in a bad fall. The recovery period took over a year, so to occupy my time I took up photography and began taking action sports photos of my friends skiing. I still have the same passion for skiing but now I have to take care of my body a little better so I can keep exploring and going on adventures in the mountains. gallereplay: Ahhh no way! Sorry to hear that man! Have you got any plans to make some skiing action cinemagraphs? Tyler Lillico: I actually do have some plans for some skiing cinemagraphs. They are quite involved when compared to many other styles of cinemagraphs, but you’ll have to wait until next winter to see if they work out since the ski season is done now. I’ve got some exciting experiments planned for this summer that I really hope work out. They involve compressing longer timescale events into a single cinemagraph. One has a full day/night cycle and the other involves multiple time lapses blended with several pictures. They are still in the planning phase but I hope to have them done in the next month or two! gallereplay: Awesome, exciting times ahead. 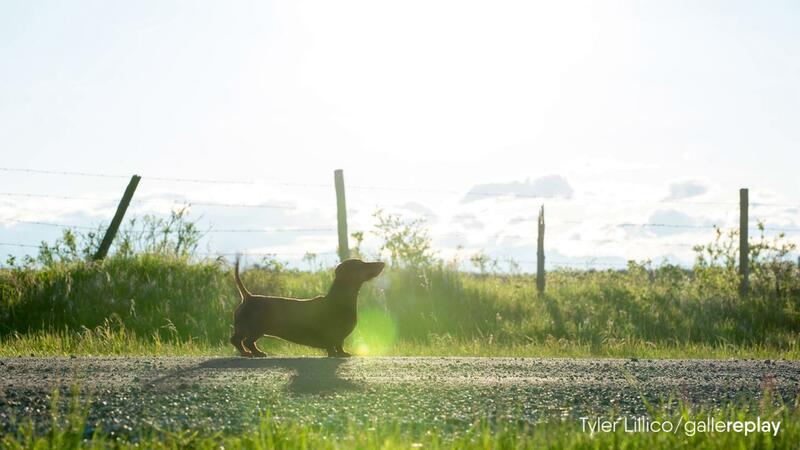 Finally Tyler, in your photography a little sausage dog gets a lot of camera time, what’s her name and she yours? Tyler Lillico: That little sausage dogs name is Hazelnut aka Crazy Hazy. She’s an incredible model and awesome little creature. She belongs to a friend of mine, but luckily I get to spend a lot of time with her. I actually just submitted my first cinemagraph of her! I’m sure I’ll have many more of her in the future. 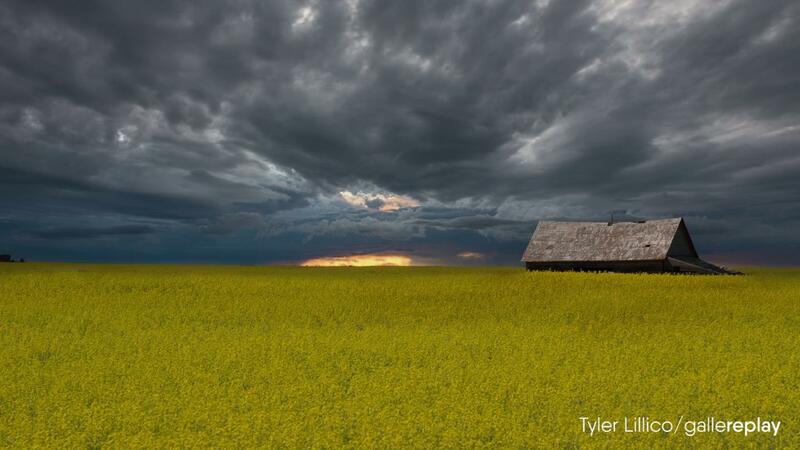 Check out Tyler’s gallereplay profile for more beautiful landscape cinemagraphs!